If you want ornaments, stones and photo frames are a lot easier to polish and carry around. Well, here is my first stab at BOTM. Its a 1990 Overburys Pioneer. It was custom built (in a garage in Bristol ) from Columbus OR and was colour speced by the previous owner. 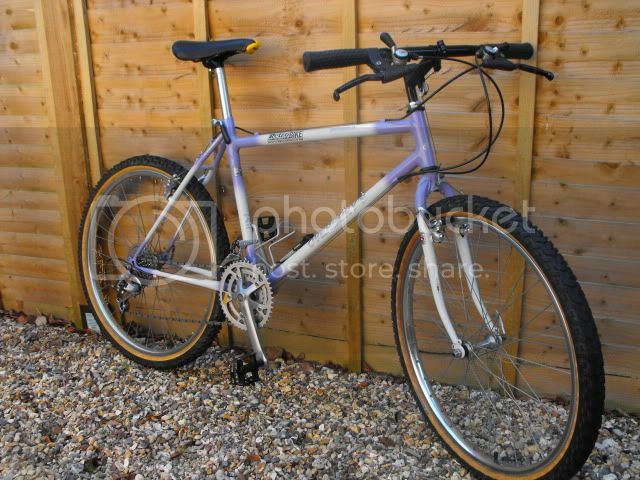 Its got a mix of Deore LX and DX (plus some XT levers, for the hawk-eyed out there ). I also have the original quotation correspondance between the previous owner and Overburys, plus the receipt of sale and owners manuals. It had never been used off-road before I got my mitts on it, but has seen plenty since. Ohh, almost forgot the weight. Its about the same as my Clockwork and Jamis....... combined!! Last edited by hairstream on Sun Oct 18, 2009 4:33 am, edited 6 times in total. I should add my '88 1inch FRO just to confuse things! Avatars you find on the internet are much better. I'll put it up in November. I think October belongs to yours. incase anyone else believes I missed halaburt's drift, my current avatar is of a photo taken from his page...please, everyone take note, my avatar is a photo taken by and belonging to, halaburt. No, I understood, and thus the wink. 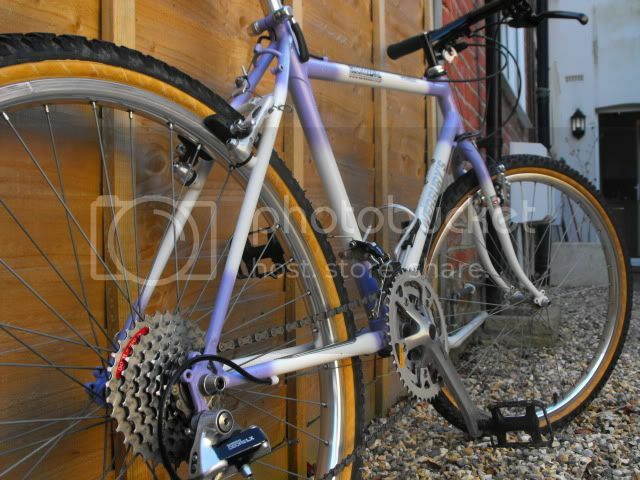 I'll replace with a photo of my own Phoenix Ti headtube, as soon as I take one this week. Nice page, by the way, with good photos and documenting of your phoenix ti. Sorry you're annoyed. and may I add, I've looked at halaburt's page several times, before and after purchasing my phoenix...it's a great page and an inspiration to me, as it should be to us all. Thank you, halaburt. Last edited by GoldenEraMTB on Mon Oct 19, 2009 3:55 am, edited 1 time in total.